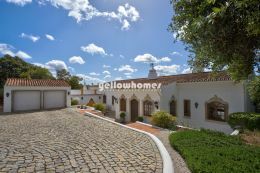 Looking to sell your property in the Algarve? Yellow Homes will achieve a successful sale! In over 20 years we've sold hundreds of properties. Our pedigree attracts serious buyers from several key markets, supported by an expert multi-lingual team with a wealth of experience of properties and localities across the Algarve. Below we present an outline guide to selling property in the Algarve. If you have any other questions, please don't hesitate to contact us. Alternatively, you can submit your property details to us directly and we'll get back to you. By selecting a knowledgeable and professional agent, you'll sell your property efficiently and effectively - in good time and for a good price. Nonetheless, as the owner YOU are an essential part of the selling process! So the following recommendations outline how best to help us sell your property. Overall, you should be considering your house from the viewpoint of a perspective buyer. What are your first impressions? Are you excited about viewing the property? Does it feel welcoming and make you want to see more? Fix or replace all leaking taps - a leak will discolour sanitaryware and suggest other problems with the plumbing. Replace any blown bulbs and defective power sockets. Freshen up any unused rooms, which may smell stale; or those with odours from pets or cigarettes. Subtle use of air fresheners / potpourri etc. is always effective. By resolving these minor problems you'll improve the first impressions a buyer has of your property. If the viewing is during the day, bring as much light into the house as possible: open all curtains and shutters and make the most of the Algarve sunshine! If the viewing is at night, turn on all lighting - including external and garden lighting. Lights highlight areas of your property that might not otherwise be noticed, and give a welcoming impression. We understand that you may want to show potential buyers around your home yourself, to highlight all its best points. However, buyers tend to feel inhibited by an owner's presence and will often hasten through the property rather than give it the full consideration it deserves. Therefore our advice is to let us conduct the viewings on your behalf - after all, you're paying us to do just that! So it's best to occupy yourself elsewhere in the meantime – maybe take a stroll outside - then perhaps have a final friendly chat before they leave. If you have pets, keep them away from the main areas of the house for the duration of the viewing. Visitors may be disconcerted with animals around, or may even be allergic - if they feel uncomfortable they'll want to leave as soon as possible. During the viewing, turn down/off the hi-fi and TV. Allow buyers the time and ambience to contemplate your house, not your taste in music! Our advice is that you shouldn't spend money to improve a house you're selling unless the house is in such poor condition its value will be dramatically affected. Examples of such exceptions are structural problems, an outdated or unsightly kitchen / bathroom, a leaking roof etc. As appointed real estate agents we will require you to sign a standard sales agreement with the essential information about the property and yourself (as the vendor). A standard / non-exclusive listing is non-binding; alternatively, an exclusive listing is with Yellow Homes solely for an agreed period, which has significant benefits. Our agency refuses to concentrate on a single market (e.g. the UK market) and spends considerable time and money ensuring that our website profiles are high on web-based search engines (Google, Zoopla, Rightmove, Bellevue,Twitter, Facebook) in numerous key countries including Germany, France, Belgium, Holland, Switzerland and Scandinavia. As a fiercely independent agent we normally do not forward our clients properties to other agents, preferring to deal directly between potential buyers and vendors - a policy which gives a much stronger chance to close a deal. Our investment in local printed media is also very strong and we attract a considerable number of buyers this way. These publications include The Portugal News, The Algarve Resident, the German magazine ESA, Vivre, Custo Justo and Essential magazine, among others. We also highlight a 'Property of the Month' on two full pages of Simply Algarve, a new glossy magazine for the central region. In addtion to this publicity we send regular newsletters to our own database of 6000 clients, showcasing the best properties currently for sale. This also generates many quality enquiries. Our commission rate for selling any property is 5% plus IVA (VAT), based on the final agreed sales price for the property. Last but not least, we are very proud to to say that a large number of our successful property transactions are the result of direct client recommendations – a testament to our reputation for a professional and effective service. Yellow Homes has signed many exclusive listing agreements with owners. This can be an excellent option for those wishing to establish a solid, confident relationship throughout the process of marketing their property and achieving a successful sale. A sole agent is dedicated to representing the property owners, and buyers respect the level of confidence this reflects. An exclusive contract with Yellow Homes offers significant benefits to vendors, as we organise professionally-taken photography plus commit additional marketing & advertising resources, in order to maximise sale potential. Please contact one of our Directors or Sales Managers for further information about our tailor-made exclusive listing packages. Improvement costs incurred in the previous 12 years prior to the sale. Residents of Portugal pay tax on only 50% of the capital gain. The gains are added to your other income for the year, then taxed at a scaled rate of up to 48%. Capital Gains of the main home are exempt for residents, provided that all funds are re-invested in another main home in Portugal or the EU/EEA within 36 months after the date of disposal or 24 months before. You must move into the property within six months. We hope you find this information useful and that it reflects the high level of professional service and commitment that we offer our vendors.